Kahan Hai Tu Lyrics: A latest Romantic song from Hindi Pop songs 2016. 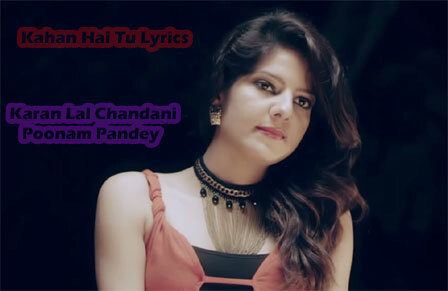 The song Kahan Hai Tu sung & penned by Karan Lal Chandani, in the music composition of Subh Dhingra. Video song directed by Mohit Sharma & Akshay Kaledy, featuring Karan Lal Chandani, Poonam Pandey & Akshay Kaledy in lead roles.